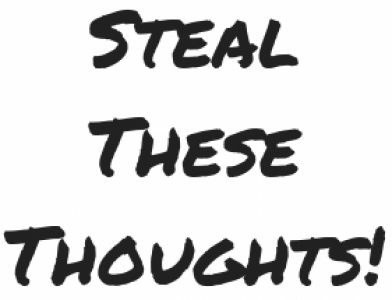 Life Lessons – Steal These Thoughts! Honestly, how many posts do you read on a weekly basis that promise to divulge the secrets of success to you? For me at one point, it used to be daily, it used to be inspiring, it used to motivate me – but now it just pisses me off. I’m a big fan of the Rocky Balboa film series with Sylvester Stallone. Although Rocky is a fictional character, over the course of the series he has shared some excellent bits of wisdom with the world and in this daily thought I’ll be sharing 3 of my favourites. The world ain’t all sunshine and rainbows. It’s a very mean and nasty place, and I don’t care how tough you are, it will beat you to your knees and keep you there permanently if you let it. You, me, or nobody is gonna hit as hard as life. Life’s not about how hard of a hit you can give… it’s about how many you can take, and still keep moving forward. Remember, the mind is your best muscle. Big arms can move rocks, but words can move mountains.